When students in my Intro to Mass Communication course showed an interest in “doing” something about their generation’s dependence on technology, I thought we better seize the day. 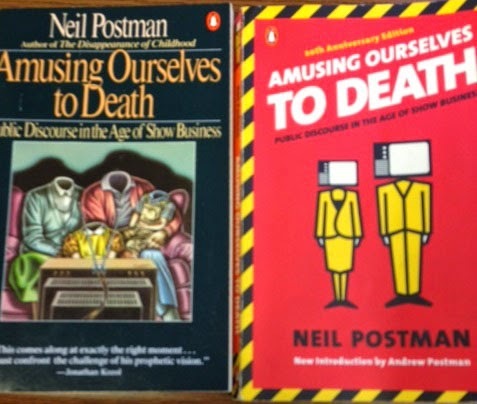 As part of the class, they read Neil Postman’s Amusing Ourselves to Death, and this semester they were particularly riled up! Each semester, the class connects with the 30-year-old text about how television and its silliness would have a lasting impact. They read it now with a social media lens…how every mention of television could be substituted with today’s language of social media. Reactions range from disgust with themselves and their generation for how “silly” they are becoming because of social media/device dependence to how empowering social media and technology can be with regards to access and information. After a mini-brainstorming session, the 40 students decided they wanted to show our campus how much they could gain from taking a break from their phones/technology/social media. Our first plan of attack was to use the UNICEF tap project as a motivator. You bank servings of clean water for those in need for every minute you refrain from touching your phone. After a beta-test, we figured out the water campaign was finished, and it would be only a hypothetical exercise. It was a small set-back, but the students rebounded with a campaign to help students study without their phones distracting them. The Pause app was the best product they found to immobilize your phone with a timer, so you can devote time to other tasks. They constructed #TSUPause, sample tweets, Vines and memes and picked Wednesday, April 16 as their Study Day. The app is free for iPhone and Android. A Vine the students created. Won’t you participate, too? You don’t have to study, but you could read for pleasure, run, spend time with friends, or just enjoy the sunshine. 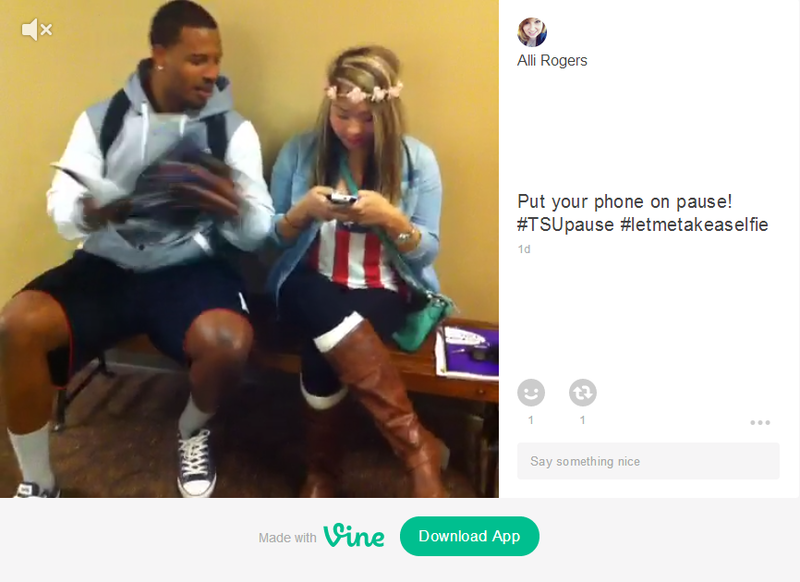 Use #TSUPause to contribute your minutes/hours paused so the students can tally and evaluate their campaign’s success. The students and I are grateful for our friends at Tarleton’s #FinalsFrenzy Committee, Department of Communication Studies, Student Success and Multicultural Initiatives and Texas Social Media Research Institute for their support and RTs! For more info, follow @TSUPause or message @SarahMaben. Sarah Maben is a TSMRI board member and assistant professor in Tarleton State University’s Department of Communication Studies. Awesome Project! I cannot wait to participate!